Actor Tasuku Nagase announces via Instagram that he has recently been married! 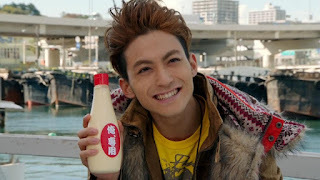 Known to fans as Kousuke Nitoh/Kamen Rider Beast in Kamen Rider Wizard, Tasuku Nagase announced on June 13, 2018 that he had married model Layla Iwamoto. Check out his official Instagram post here. Congratulations to both of them!